It's been almost a month Java 8 is released and I am sure all of you are exploring new features of JDK 8. But, before you completely delve into Java 8, it’s time to revisit some of the cool features introduced on Java 7. If you remember, Java 6 was nothing on feature, it was all about JVM changes and performance, but JDK 7 did introduced some cool features which improved developer's day to day task. Why I am writing this post now? Why I am talking about Java 1. 7, when everybody is talking about Java 8? Well I think, not all Java developers are familiar with changes introduced in JDK 7, and what time can be better to revisit earlier version than before welcoming a new version. I don't see automatic resource management used by developer in daily life, even after IDE's has got content assist for that. Though I see programmers using String in Switch and Diamond operator for type inference, again there is very little known about fork join framework, catching multiple exception in one catch block or using underscore on numeric literals. So I took this opportunity to write a summary sort of post to revise these convenient changes and adopt them into out daily programming life. There are couple of good changes on NIO and new File API, and lots of other at API level, which is also worth looking. I am sure combined with Java 8 lambda expression, these feature will result in much better and cleaner code. Before JDK 1.7 introduce a new operator <<, known as diamond operator to making type inference available for constructors as well. Prior to Java 7, type inference is only available for methods, and Joshua Bloch has rightly predicted in Effective Java 2nd Edition, it’s now available for constructor as well. Prior JDK 7, you type more to specify types on both left and right hand side of object creation expression, but now it only needed on left hand side, as shown in below example. So you have to type less in Java 7, while working with Collections, where we heavily use Generics. See here for more detailed information on diamond operator in Java. equals() and hashcode() method from java.lang.String is used in comparison, which is case-sensitive. Benefit of using String in switch is that, Java compiler can generate more efficient code than using nested if-then-else statement. See here for more detailed information of how to use String on Switch case statement. Look at this code, how many lines of boiler codes? Since Java is taking care of closing opened resources including files and streams, may be no more leaking of file descriptors and probably an end to file descriptor error. Even JDBC 4.1 is retrofitted as AutoClosable too. The fork/join framework is an implementation of the ExecutorService interface that allows you to take advantage of multiple processors available in modern servers. It is designed for work that can be broken into smaller pieces recursively. The goal is to use all the available processing power to enhance the performance of your application. As with any ExecutorService implementation, the fork/join framework distributes tasks to worker threads in a thread pool. The fork join framework is distinct because it uses a work-stealing algorithm, which is very different than producer consumer algorithm. Worker threads that run out of things to do can steal tasks from other threads that are still busy. The centre of the fork/join framework is the ForkJoinPool class, an extension of the AbstractExecutorService class. ForkJoinPool implements the core work-stealing algorithm and can execute ForkJoinTask processes. You can wrap code in a ForkJoinTask subclass like RecursiveTask (which can return a result) or RecursiveAction. See here for some more information on fork join framework in Java. See my post about how to use underscore on numeric literals for more information and use case. In JDK 7, a single catch block can handle more than one exception types. In JDK 7, you could use one single catch block, with exception types separated by '|'. see here to learn more about improved exception handling in Java SE 7. 7) Binary Literals with prefix "0b"
In JDK 7, you can express literal values in binary with prefix '0b' (or '0B') for integral types (byte, short, int and long), similar to C/C++ language. Before JDK 7, you can only use octal values (with prefix '0') or hexadecimal values (with prefix '0x' or '0X'). Java SE 7 introduced java.nio.file package and its related package, java.nio.file.attribute, provide comprehensive support for file I/O and for accessing the default file system. It also introduced the Path class which allow you to represent any path in operating system. New File system API complements older one and provides several useful method checking, deleting, copying, and moving files. for example, now you can check if a file is hidden in Java. You can also create symbolic and hard links from Java code. JDK 7 new file API is also capable of searching for files using wild cards. You also get support to watch a directory for changes. I would recommend to check Java doc of new file package to learn more about this interesting useful feature. JDK 7 introduced a new Garbage Collector known as G1 Garbage Collection, which is short form of garbage first. G1 garbage collector performs clean-up where there is most garbage. To achieve this it split Java heap memory into multiple regions as opposed to 3 regions in the prior to Java 7 version (new, old and permgen space). It's said that G1 is quite predictable and provides greater through put for memory intensive applications. The Java SE 7 compiler allows you to specify the exception types ParseException and IOException in the throws clause in the preciese() method declaration because you can re-throw an exception that is a super-type of any of the types declared in the throws, we are throwing java.lang.Exception, which is super class of all checked Exception. Also in some places you will see final keyword with catch parameter, but that is not mandatory any more. That's all about what you can revise in JDK 7. All these new features of Java 7 are very helpful in your goal towards clean code and developer productivity. With lambda expression introduced in Java 8, this goal to cleaner code in Java has reached another milestone. Let me know, if you think I have left out any useful feature of Java 1.7, which you think should be here. Thanks for reading this article so far. If you like this article then please share with your friends and colleagues. If you have any question, doubt, or feedback then please drop a comment and I'll try to answer your question. P.S. : If you want to learn more about new features in Java 8 then please see the tutorial What's New in Java 8. It explains about all important features of Java 8 e.g. lambda expressions, streams, functional inteface, Optionals, new date and time API and other miscelleneous changes. P.S. 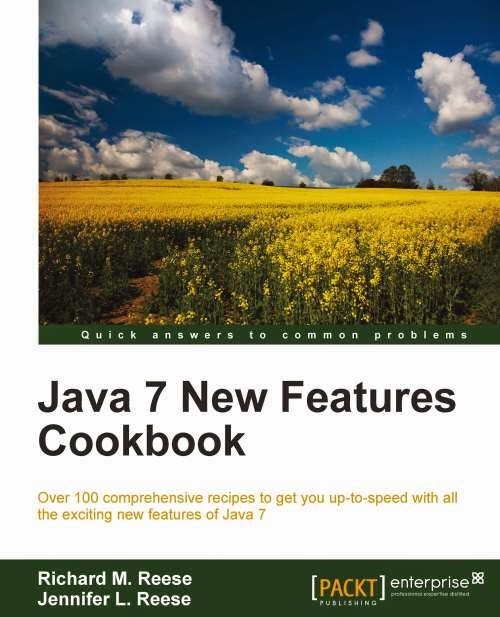 : If you love books then you may like Java 7 New features Cookbook from Packet Publication as well. Nice resume of Java 7 features. String.substring() method could cause memory leak in 16,while in 1.7 it wouldn't. String. intern() is different in 1.6 and 1.7. String provide an attitude hash which store the hashcode of Sring in 1.7 because String is immutable and often be used in the Collection genercis as the key whilch need override the equal and hashcode method. Hi, in the first feature, the diamond operator is <<, is it right? Tio, you are right! same question in my mind, when I read it first time! One more thing in Java8 interface allows default method implemantion with in it and prior to Java8 interface allows only abstract methods. I think you have missed the hyperlink for "See here for more detailed information on diamond operator in Java.". Can you please update this. @Anonymous, sure, will update it, thanks for pointing it out. Hey Javin, it is almost the time to write the same article for Java9! Nice article, Thanks for putting this all together. Nice.. and thanks for comparing with previous version..
Good article about Java 7.